This has become quite a hot topic over the last decade or so. The usage of backpacks amongst school-age kids has risen dramatically over the last 10-15 years and with it, so has the incidence of back pain and injury amongst children and students. 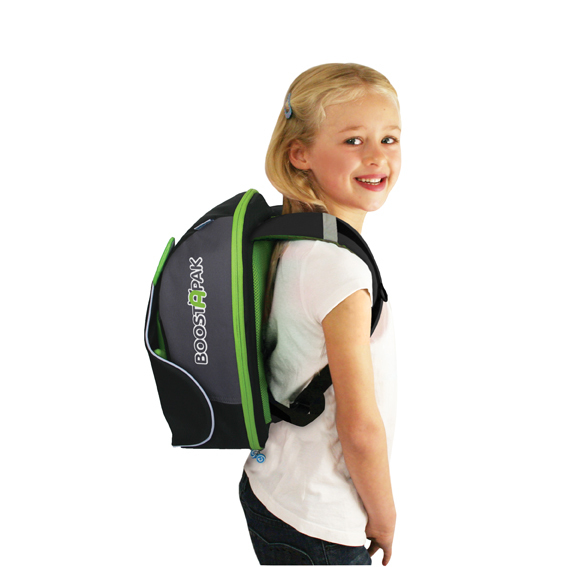 Studies have reported that up to 64% of children suffer from back pain (Negrini, 1999), and John Hopkins Children Center (as well as other facilities) have shown that backpacks cause back and shoulder pain and poor posture in children. This typically depends on the child. Most studies come to the consensus that the backpack contain no more than 10-15% of the childs/students weight. For a 40 lb. kindergartener, that would amount to between 4 and 6 lbs. For a 120 lb. high schooler, it’s between 12 and 18 lbs. Keep in mind the physique of the child as well…the taller and thinner should be on the low end of the scale, where shorter and stockier can go higher. This has everything to do with leverage in developing bodies. When a tall, thin 12-year old, 75 lb. girl is carrying 10 lbs in a backpack, it’s much different than a more muscular and shorter 75 lb. 12 year old girl. A good example would be trying to walk and maintain holding a 12 lb. bowling ball overhead, compared to holding it at your shoulder height. You’re more stable with the weight lower in the backpack and closer to your body’s center of gravity. There are typically waist straps on most packs, and using them will allow for the pack’s weight to transfer to the hips and waist and off of the shoulders and thorax. 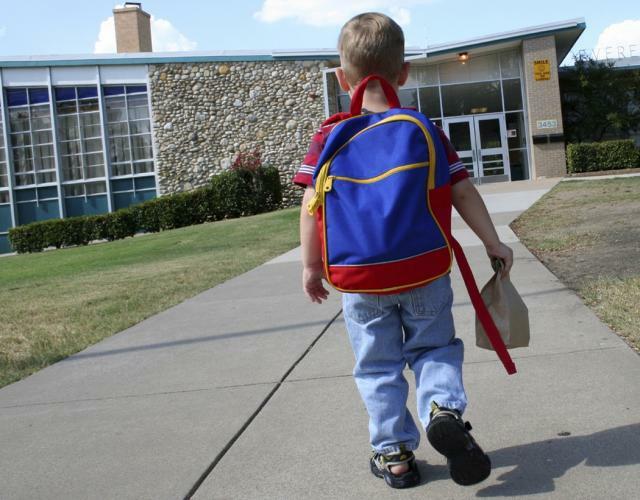 Backpacks should carry no more than 15% of the child's weight. Weight distribution is a concern – try to evenly distribute the weight in the pack and also to compartmentalize as much as you can. Remember, no more than 10 – 15% of the child’s weight in the backpack…that’s the maximum! Carrying it on both shoulders and not just hanging over one side. That kind of uneven distribution is a problem just waiting to happen. Wear it properly, and that means over BOTH shoulders. Get backpacks with wider, padded shoulder straps as well as back padding. Pack heavier things at the base, and pack flatter things toward the spine. ** The backpack should NOT be bigger than the child’s back. Although this seems obvious, the bigger the pack, the more stuff gets put in it – increasing the chance of overloading and injury. Laptops are rarely over 3 lbs. and are replacing some books and assignments, but not all. If multiple assignments are computer based it will make it easier to carry one laptop as opposed to 3 textbooks. Proper positioning, weight and distribution will cause less pain and discomfort. Something else to implement with kids carrying a backpack doesn’t have to do with the pack directly, but with exercising the extensor muscles of the back as well as the muscles in between the shoulder blades. 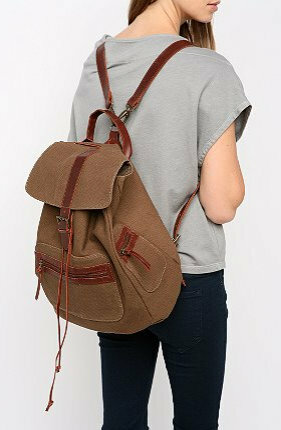 Backpacks promote a forward lean in both standing and walking phases and this tends to force the student to round their shoulders and assume a mild ‘walking slouch’, in order to keep their weight in-between their feet. So implementing rowing exercises and prone arm-leg raises can help keep your child from years worth of horrible posture. Something else to consider is having different backpacks for different uses… keep the sports gear in a different pack in their locker until needed, and not have to carry it around. Remember, structure fits function here…if the pack fits, wear it – but don’t overdo it and do it RIGHT!! !